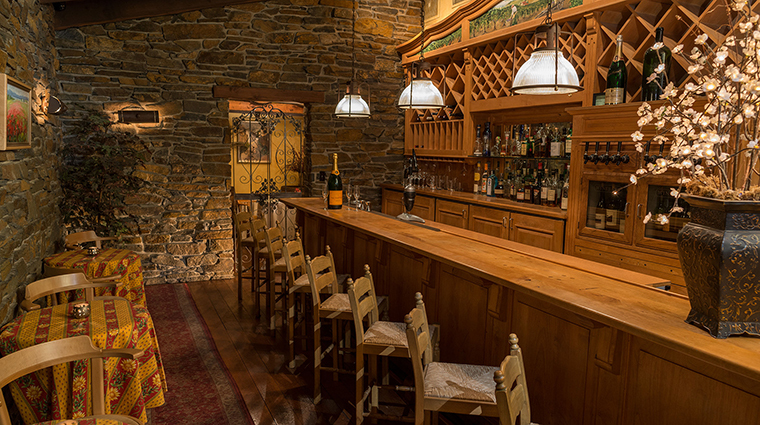 Legendary for its exquisite cuisine and shimmering with an Old World luxury you’d typically find in Europe, Erna’s Elderberry House Restaurant is tucked into the foothills of the Sierra Nevada Mountains near Yosemite National Park. Erna Kubin-Clanin, proprietress of Château du Sureau, founded Erna’s Elderberry House in 1984. Her vision was to create a world-class restaurant and resort that evoked the sophistication and luxury of Provence. Striking for its subtle elegance, lovely setting and flawless service, Erna’s Elderberry House is adjacent to Château du Sureau and named after the fruit that covers the grounds of the estate. 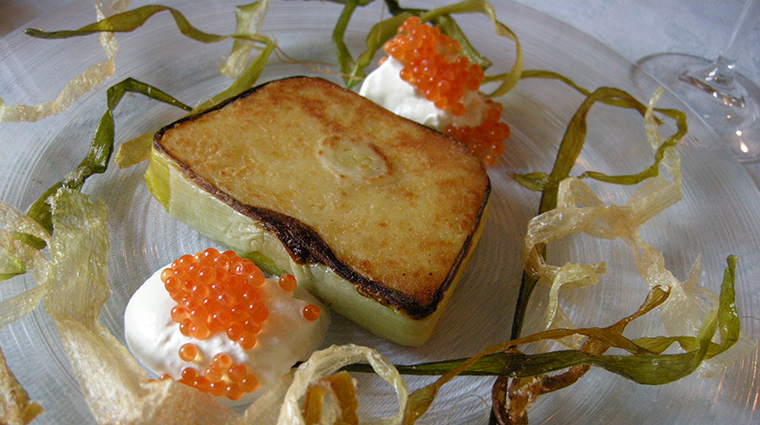 In a nutshell, Erna’s is a fine-dining restaurant where guests are treated like royalty and the food is a work of art. Impeccably dressed in starched white shirts and black suits, the highly trained waitstaff anticipates your every need. 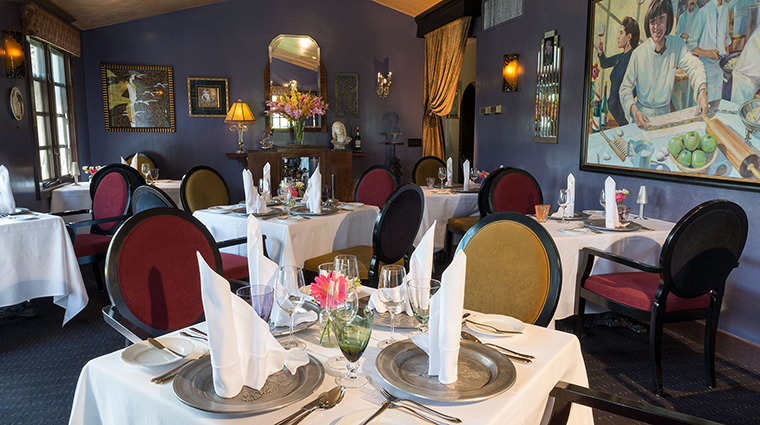 Sip on a fine French wine and enjoy a view of the gardens while servers bring coursed plates and ensure your glass is never empty. 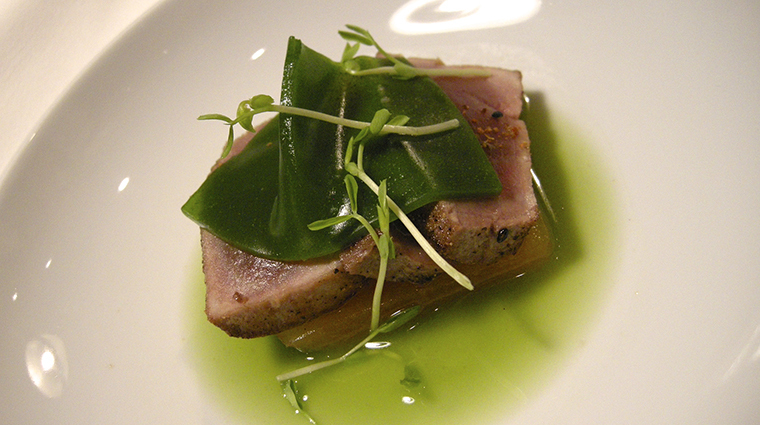 Erna’s specializes in farm-to-table seasonal cuisine. The prix fixe menu changes daily and is whipped up by Jonathon Perkins, an emerging young chef who has gained international recognition for the flavorful meals he creates. Need a glass of vino to complement your farm-fresh California feast? During the five-course meal, each plate is paired with a bottle from the restaurant’s extensive cellar. Don’t miss the Sunday brunch at Erna’s Elderberry House. Known for its tantalizing cuisine and communal atmosphere, the spread is an all-out breakfast experience. Want to learn how to cook like chef Perkins? Don a white coat and learn from a team of highly skilled toques who will teach you how to concoct world-class dishes with local ingredients. To dine at Erna’s Elderberry House, whether it be for dinner or brunch, you will need a reservation. 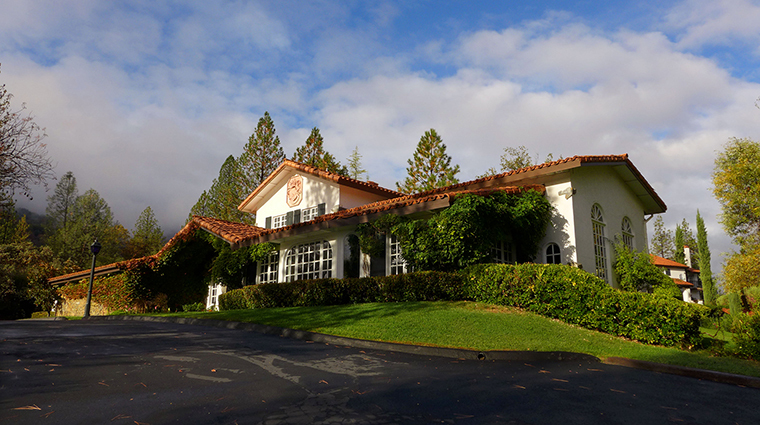 Simply visit Chatea du Sureau’s website or call directly at 559-683-6800 to book your table. 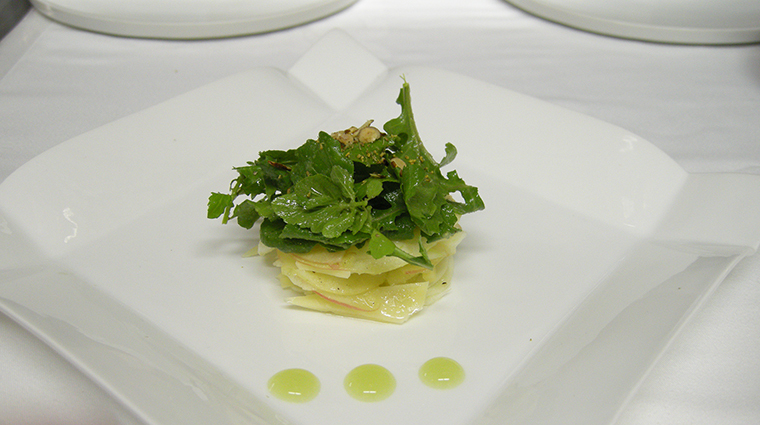 The elegant eatery serves dinner nightly and Sunday brunch is available from 11 a.m. to 1 p.m. each week. Gentlemen will feel most comfortable in a jacket and tie, although slacks and a button down shirt are also appropriate. A cocktail dress would be the best choice for ladies—the restaurant is a perfect place to dress for elegance, though officially the dress code is business casual. With exquisite dishes such as brioche-crusted halibut, curried eggplant soup, spruce- and blackberry-braised wagyu short ribs and roasted hazelnut panna cotta, this elegant experience is a must. The five-course Sunday brunch offers selections such as local farm eggs with potato rosti, nectarine-passionfruit frappes, beef filet medallions and seared Maine scallops. The exquisite brunch also features complimentary freshly baked croissants, and a glass of brut or sparkling cider. 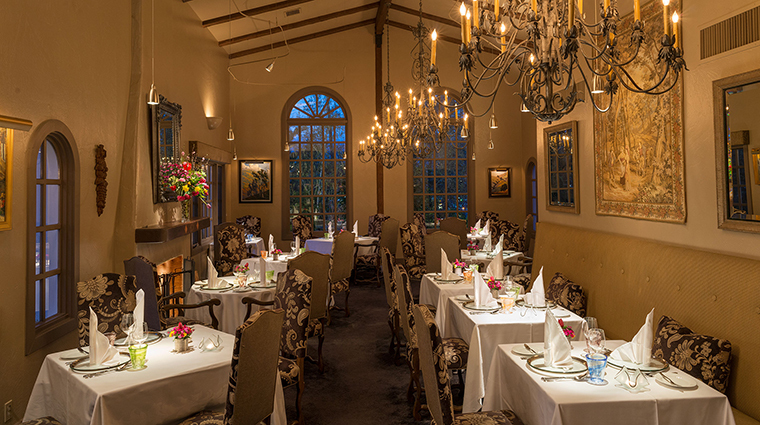 The Four-Star restaurant has three dining rooms, each titled after a renowned French chef: Paul Bocuse, Fernand Point and Auguste Escoffier. The rooms are lavishly decorated with French oil paintings, medieval tapestries and antique mirrors, handpicked by Kubin-Clanin, who travels extensively to find these treasures. Crystal chandeliers hang from the ceilings and tall arched windows filter natural light into the restaurant. 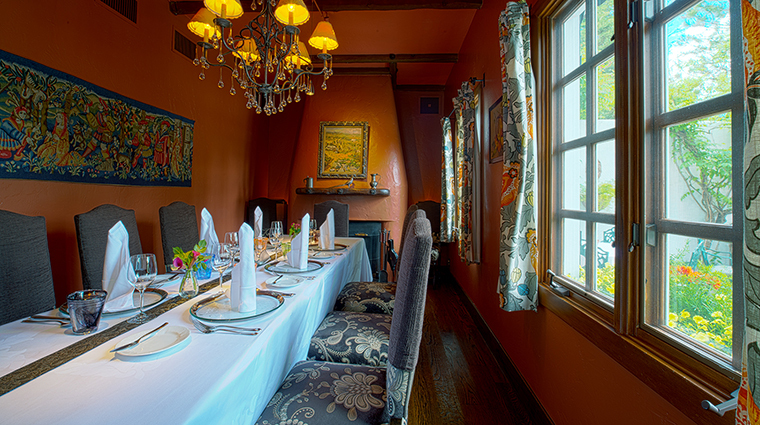 Tables are draped in fine linen and set with Italian tableware and crystal.